First I melted some chocolate and piped simple chocolate hearts onto parchment paper. It is really easy and I did it this morning while having coffee and popped them in the freezer for a couple of minutes to harden. 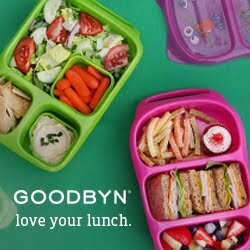 For the two older boys I packed Easylunchboxes with Naturebox Cranberry Almond Bites, a half a red pear with a small hear cut out and heart shaped peanut butter and jelly pocket sandwiches. 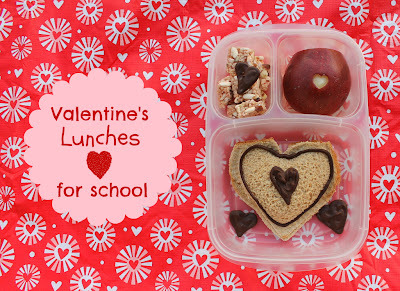 I decorated the sandwich with a small amount of chocolate and added a few of the chocolate hearts I had made earlier. Of course, as always, we packed ice water and yogurt as well! I also added some Lunchbox Love Cards to sweeten their lunches and cannot wait to hear what their trivia was today!